Last night, during the tapings for Main Event and Smackdown, the WWE tweeted about the Intercontinental Title win of Kofi Kingston's over The Miz. Not sure WHY they did that, as Main Event airs tonight, but you know. 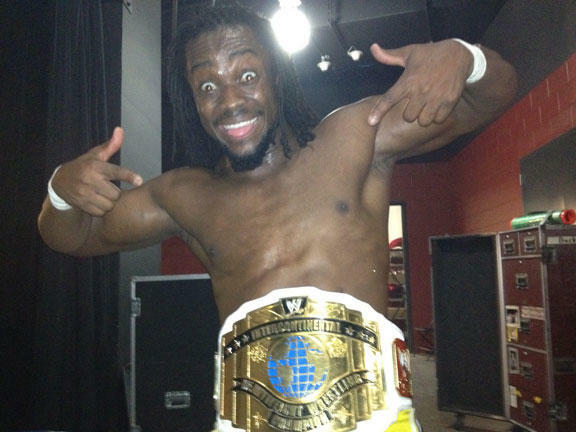 This means that Kofi (should) be wearing the gold when they hit Trenton for the Raw World Tour house show!